Equipped with steel body, gleason ground spiral bevel gears, highest precision bearings, case hardened and ground shank and shaft. The performance reach up to 8.000 RPM and torque up to 27 Nm with output ER 20 and stop-block and coolant through the pin. 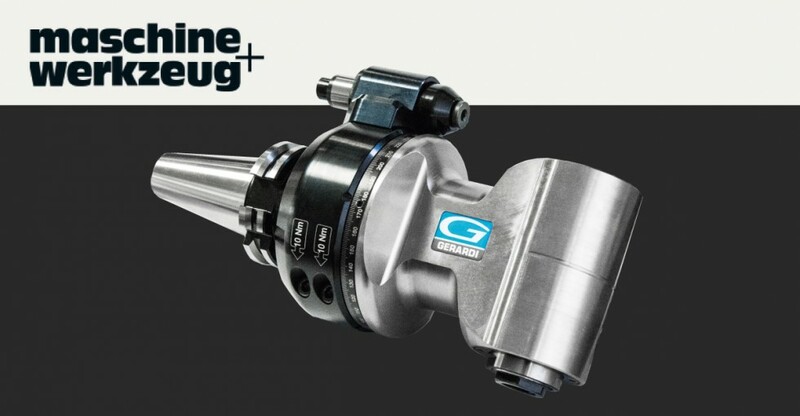 The new EVOLUTION line of Gerardi angle heads has been designed from technical base derived from more than 45 years experience in solving thousands of production problems, finding the best solution and always guaranteeing the highest product quality.